We are committed to creating the best green sustainable pest control company that won’t compromise future generations. Everybody knows the amount of chemicals that the Pest Control Industry has been using for years and the direct impact it has on people, wildlife and the environment. We believe that we can do better, that is why with a background in Entomology and Pest Control services we developed Easy On Earth Pest Control™. We have put together a team that is passionate about being green, wildlife, and the need to protect our environment and (humble enough) to educate people through serving them in their homes or business through pest control solutions. There is always a way to find pest control solutions to your pest control problems without compromising the health of your family, pets, our pest control technicians or the environment. We believe that if you allow us to work together with you, we can solve your pest problems in a more sustainable way. Easy On Earth Pest Control™ believes in integrity, this is why we complete our promises and commit ourselves to serving you in the best possible way, every single time. We are a family owned business, not a franchise. Please feel free to call us to book in an Eco Treatment on 0406 983 822. We train experts in pest control services, that don’t rush on your property in order to get to the next job. Our pest control technicians perform a couple of treatments each day, so they can take the time to listen to your needs and expectations. Our technicians are autonomous because they love wildlife and they study it in depth. Our technician salaries exceed the pest control industry, highlighting our values and high respect to each individual. 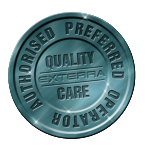 This translates into a better service to our clients and ensuring our clients see the difference and quality of our beneficial treatments. We are a green pest control company, not just in the way we do pest control, but in the way we do business and run our office. Rechargeable batteries for all our equipments: Torches, Cameras, Drills, Vacuums, etc. We strongly encourage you to do the same for your home and business. Every little effort helps to ensure the safety of our environment is preserved. Easy On Earth Pest Control™ is a fully insured company with Rapid Solutions. Our policy number is AUS-10-9327. Our policy covers us under the “Limit of General Public Liability” for $10,000,000. But the most important is that we are effective and warranty our pest control services so you can put your attention in what really matters, your family or your business.